This simple scrub polishes to perfection! 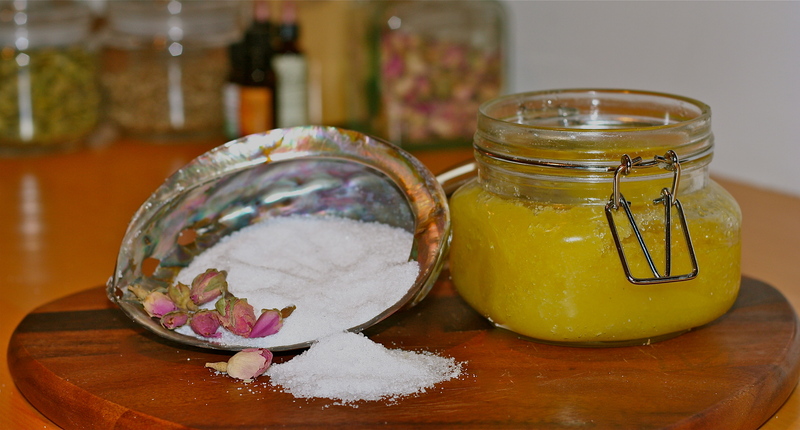 Honey and Rose Petals make a fabulous addition to this scrub. Warning: oily preparations can make the shower recess very slippery! 1: Pour the salt into the glass jar. 2: Add the essential oils to the base oil drop by drop and blend. 3: Pour the mixture into the salt. Seal the jar and shake well. Voila! 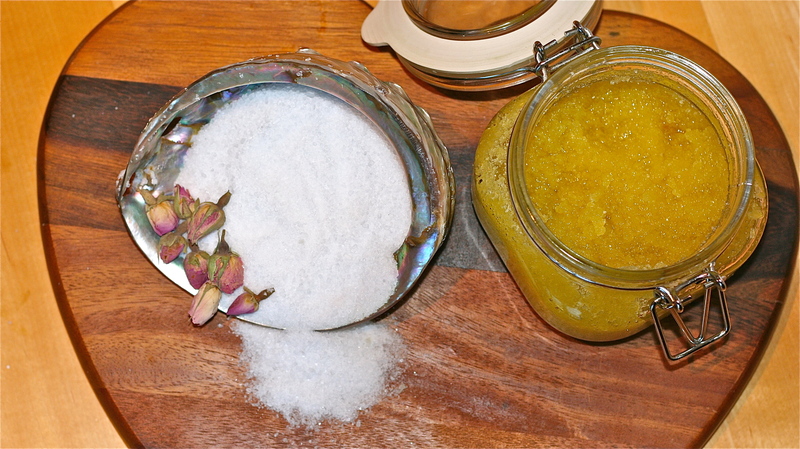 Beautiful body scrub, completely natural that smells divine! The mixture will keep for up to 6 months.